February 14, 2016 Authorby Sunday Fiction.Posted in Photo Fiction. 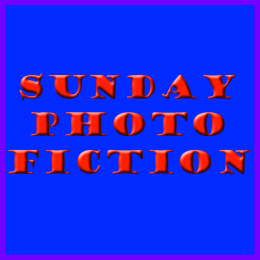 The idea of Sunday Photo Fiction is to create a story / poem or something using around about 200 words with the photo as a guide. It doesn't have to be centre stage in the story; I have seen some where the placement is so subtle, the writer states where it is. Once you have written and posted your story, please add the link to the little froggy below so that it is added to the collection and we can all have a read. The main object is to have fun. Here is my story from the lovely picture supplied by A Mixed Bag. Breathing in the fresh air she caught the scent of the trees, the coolness of the gentle spring breeze and a slight whiff of animal. She crinkled her nose slightly as she turned to her beau who was regarding her with a smile on his face. OK, so she was a city girl at heart, unused to all this wide, open space and those smells, well really, it was too much. She popped her nose into her chiffon scarf, draped artistically around her long, elegant neck, and inhaled the aroma of Chanel No. 5. Toby linked her arm through his and gently manoeuvred her towards the ugly beasts in the field, only flimsy wooden railing keeping her safe from the wild beasts. ‘Come on, darling, keep up. The Safari trail leads us back up to the Mansion House. I’ll show you the view from the balcony when we have our wedding reception here.’ Toby smiled at his fiancée. Alicia grimaced back at him as she turned tail and walked smartly back towards the entrance gate. She didn't care how much a taxi back to London would cost; she wasn’t staying here in the wilds or getting married! I have a 'B' site for ease of commenting. I also have short verse here... but I use the 'other' place more. 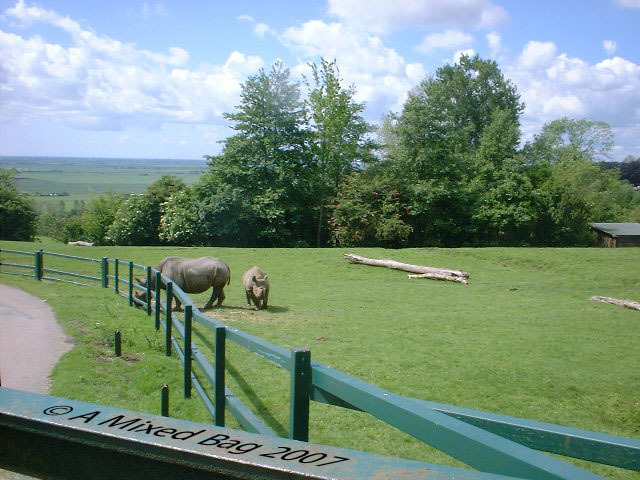 Who would want a wedding overlooking a rhino pen? I don't blame her for walking away. Haha I think if they did get married it would be a marriage made in hell.